I made this quilt for my grandma that we've always called LaLa. When I was growing up, her parents lived really close and we would go over to their house for holidays. After they passed away and we were going through their possessions, I remember finding letters. They from my great-grandpa to my great-grandma when they were first married and he had to work across the state. When I saw this fabric and noticed that they had images of postage stamps and handwritten addresses it brought this back into my mind. I used a pattern that reminded me of stained glass and has a neat effect when you look at it from afar. 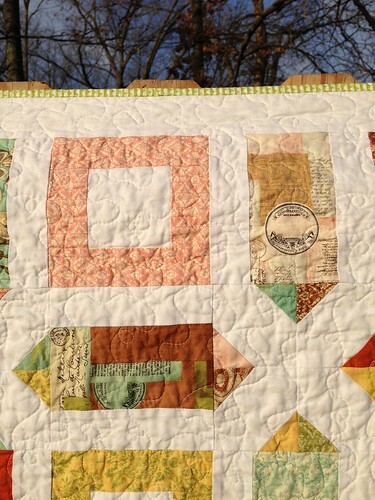 Here is the close up of the quilting. I used a new to me loop-dy-loop quilting that went pretty well. I backed it in two prints I had in my stash that went with the colors from the front. 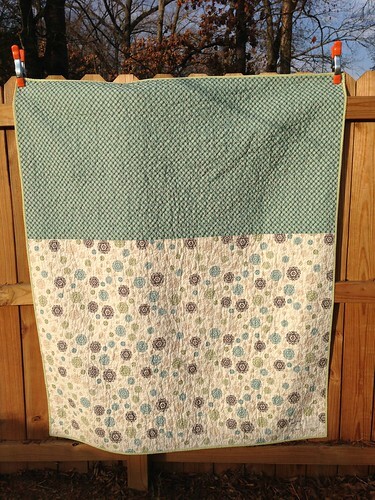 I called this quilt "Love Letters" because of the memories that it ties together. 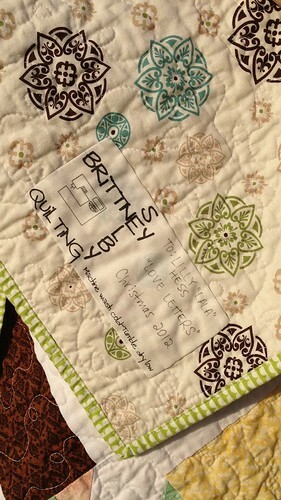 I love this quilt -- it is very special since Brittney was thinking of my parent's early life together. 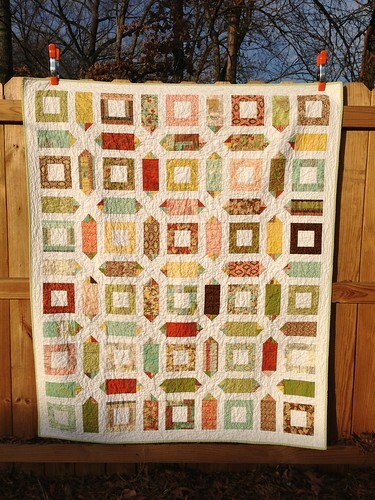 My mother was also a quilter and made quilts with her children and grandchildren. And my father's mother, Josephine Moix, was also a quilter and made quilts for her grandchildren - don't know what happened to mine but it was red, white and blue.